A few months ago in my August Obsessions post I had listed the cowl that Katniss Everdeen wears in the trailers, adverts, and of course the movie for Catching Fire, as one of the obsessions that I couldn't stop thinking about. I wasn't the only one though. Several other fellow knitters, fibre enthusiasts, and bloggers were all coveting this stunning showstopper of wearable art. Many of them had even tackled the challenge of trying to recreate the cowl, or at least came up with something that was inspired by it. Like me, a lot of crafters had scrupulously inspected internet photos and videos in an attempt to try to figure out whether the piece was crocheted, knitted, or a formulation of both. As it turns out, from reading this inspiring article about the designer, Maria Dora, the cowl was actually woven by hand - most likely in the form of macrame as Dora spent time as an apprentice to a master of macrame. As much as I had wanted to join in on the fun of the challenge of recreating my own Katniss cowl, I'm glad that I didn't and had to spent more time at my sewing machine than with my needles. Why? Because there would have been no way that I would have been able to construct such a perfect version of the original as the one Lolly of Lollyknits did! I mean, just look at it! 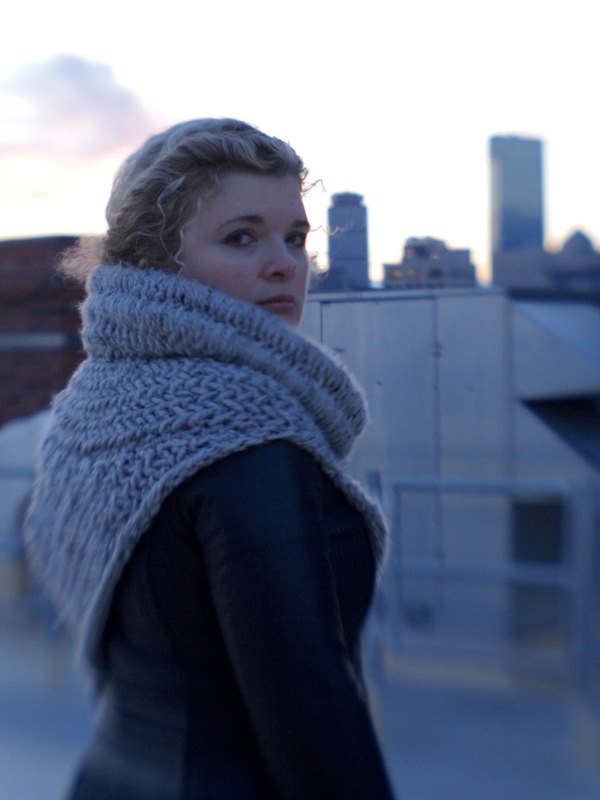 It's pure atomic awesomeness in cowl form! Fabulous job Lolly! As if that wasn't enough, Lolly is super lovely and wrote up the pattern AND is offering it for free in her Ravelry shop! Thank you Lolly!! You can bet all your cashmere that I'm going to try my hardest to whip up my own Katniss cowl using Lolly's pattern. Actually, funny story: as I was typing this post up, my wonderful and multi-talented friend Jeni had posted on my personal Facebook page the Ravelry link to this pattern! Before I had a chance to even click the 'publish' button on this post, Jeni had already made it her mission to head out to the nearest Michaels to nab the yarn and supplies needed for a group of us to knit our own Katniss cowls! Now, if I can play my cards right, I might even be able to convince them to make a day (or night!) of it and create our cowls together...complete with some yummy Vancouver Island Brewery Dough Head beer (can you say YUM-O??)!! So...if any of the ladies in this Katniss cowl crew is reading this, what do you think?? A HUGE thanks to Lolly for generously giving the world the Katniss cowl pattern and for giving me permission to use her photos on the blog!! 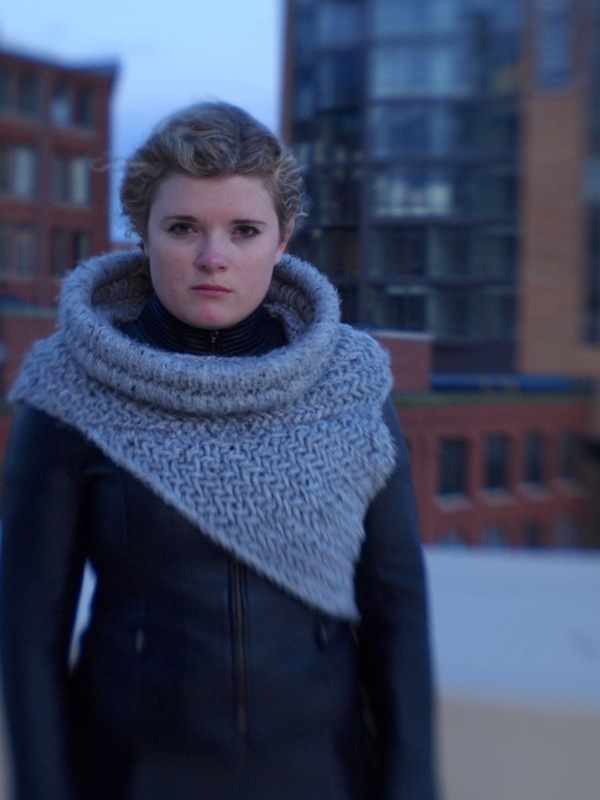 Ok, so who else is going to be whipping up a cowl in time for the November 22, 2013 Catching Fire premiere? Hands up! 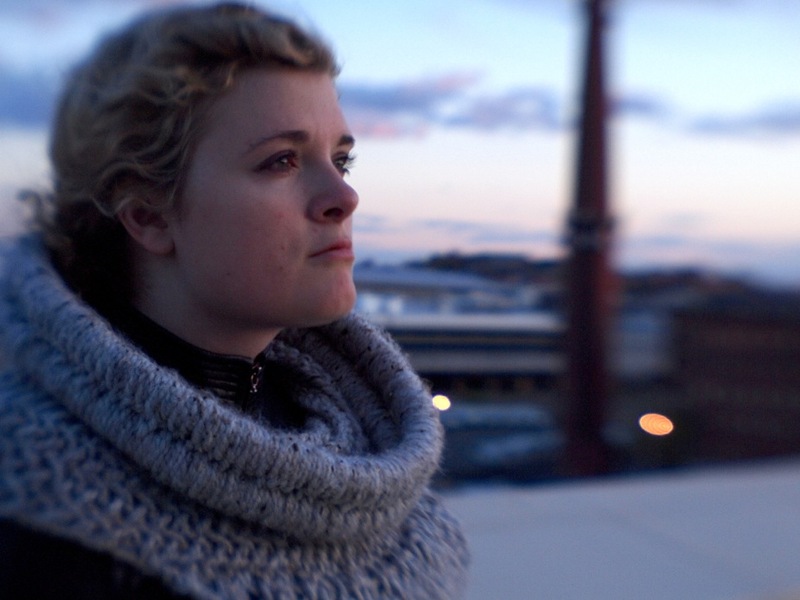 If you knit the cowl and wear it to the movie, please post pictures because that would be too awesome! You know if I lived anywhere remotely near you guys I would be so down for this! Sigh...I'll just have to participate from afar. This is so cool! I love that this pattern is free. It will definitely be on my list once summer in Aus is over. Oh yes, I totally forgot that it's heading into the summer months for you! Even without sewing mine together, I can already tell that it's going to be a warm piece to wear!